Located in Belmar of Lakewood, T-Street is a contemporary, yet casual, kitchen-style gathering place for residents and visitors of Belmar. Rooted in the Colorado born and bred Roadhouse concept and receiving constant innovation by Roadhouse Hospitality Group, patrons of T-Street will enjoy tried and true Roadhouse favorites like the famous “Roadhouse Burger” complemented by more upscale menu items such as fresh oysters. 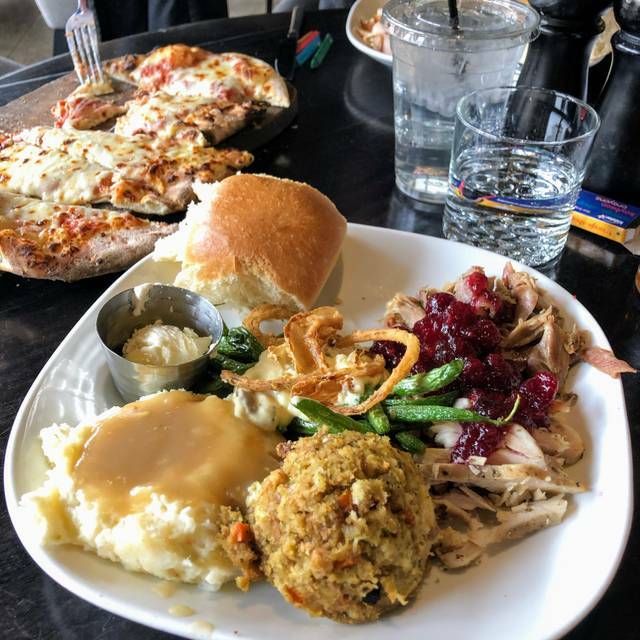 True to its Roadhouse roots, T-Street is an inviting and customer service focused dining experience making it the perfect place to meet friends, relax and enjoy Belmar. We were there at lunch, and service from the kitchen was VERY slow. The place was less than half full, so it was difficult to understand. Food was good when it finally arrived. Willing to believe it was just a bad day for the kitchen staff somehow. Great food, and an inviting atmosphere. Good for all kinds of occasions! They did not have my reservation. Open table was a waste of time. Perhaps like this review. Good variety of food and cocktails. Food came out in a timely manner, did not wait to long. Wait staff checked in frequently. Good service. Always love the chef specials. I enjoyed the evenings halibut special. Servers fabulous fabulous as always! As usual, a great night out in the neighborhood. We were surprised that there was no chef's special - there usually is, but given the March Madness crowds, it's totally understandable. I enjoyed the prime dip with Brussels sprouts, and my sweetie enjoyed her Belmar burger. Everything was as tasty as ever. Save room for dessert, as the highlight was the peach cobbler. Crunchy and tasty! There is a large variety on the menu, and the staff always knows the details of what is in every dish. They aren't afraid to make a recommendation and explain why. We have never had bad service, and they always make us feel comfortable and welcome - and they remember who we are and what we like and don't like. Love Tstreet!! I live nearby and continue to go here because of convenience living one block away and every time I am disappointed. Service is very slow even when the restaurant is slow. Last visit they forgot to bring our food out and when they did bring it out they let us know is was comp'ed but it was still cold. I would've preferred waiting longer for fresh food. Time before that I had made a reservation and had to remind the hostess to seat me after I had waited 30 min after my reservation and watched them keep a table open and eventually seat us there because they were standing around talking to their co-workers, mind you it was a Saturday morning and it was packed and everyone else waiting was also getting ignored and wondering why no one was being seated at open tables. I ordered the Halibut which was very dry and flavorless. It was served with Quinoa and Asparagus. The Quinoa was the tastiest part of the meal. The manager came by to ask how we liked our meals. My daughter's enchiladas were very good and my friend's pizza was delicious, but I let him know that my Halibut did not live up to the cost of the meal. He made it right. I really appreciated his willingness to make sure I was a happy, satisfied customer. I definitely recommend Tstreet Roadhouse for ambiance, service, customer care, good drinks, and good food for the most part. I'll definitely be back to try another dish at this fun eatery! Nothing to brag about. Food was average, portions were small for the price. TStreet is one of my favorite restaurants. The food was amazing as always. We had a family gathering of 10, plus a toddler. Staff was very attentive and professional. We are regulars to Tstreet and have never had any issues. Great apps, entrees, drinks, and dessert! Food excellent, very innovative. Service was superior, front hostess was a bit grumpy but our server made up x10. Bar drinks came way to fast - not really how could they come to fast. Only detriment was the sound level, background music was nice but barely audible over conversations and service noise. Do not let this deter, as food was spot on. Food was delicious, service friendly and efficient. A great restaurant to enjoy for lunch, as we did. Going back soon. Price was on target for the food we ordered. We noticed young and older people eating, talking and enjoying. Tstreet is a great restaurant but always loud. Great brunches and happy hours. The food and service were excellent, as it always has been. A little noisy. Nice decor, comfortable seating, great ambiance. Food was typical roadhouse - good selection of items for wide ranging tastes. Fun place to go with group. Service wasn't as attentive as it could have been, but find that's typical in the suburbs. Loved this place...first time but will be back! Good food, great looking bar. Good service and a wide verity on the menu! We just love T St.! The staff is always so hospitable and friendly. Truly feels like our home away from home. It took 45 minutes to get our salad after ordering. Everyone who was seated 10 minutes after us received their food within 15 minutes of sitting down and were done or nearly done by the time we got ours. It was very disappointing. The food was good but the restaurant is VERY loud!! As always, food was delicious. The flatbread pizza with fig is fabulous. Service was equally outstanding. The hostess was so kind to call me when we were late for our reservation due to a lengthy movie. When I confirmed that we were on our way, she very graciously held our table for us. Tstreet is now my favorite restaurant on the west side of Denver. I really loved our server Katar (spelling??). The menu doesn’t have many inexpensive options except the Happy Hour menu. Great place if you’re stepping up your game on date night or happy hour! Grab a drink here before a movie! I had the most delicious Brussels sprouts. Despite the server being in training, she was still very good as was the server training her. They have a gluten free menu so my date had no issues there. I look forward to going back. I ordered the baked Halibut and it was outstanding. 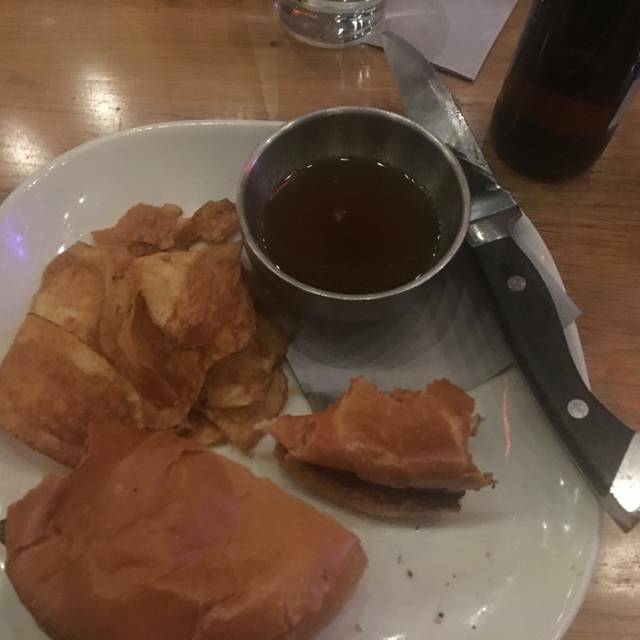 My wife had the Prime Rib sandwich and thought it was fantastic. Great night. Brought our friends who had never been and they loved it. I love that they brought this restaurant to Belmar. I really love the look they've gone for with an upscale bistro vibe. I honestly just wish people to come would respect what it's trying to be. Nearly every time we come, there's some "bro" or millennial in a muscle shirt, baseball cap, or even a winter beanie. Great food as usual and the atmosphere is always great. We had a birthday gathering. Food was good. Service was great. We brought in a cake and they brought it to the table with candles lit. A nice touch! This is one of our favorite places! We had a group of 6, and intended to have a longer lunch. The food was excellent but the service was really slow. We would have ordered more drinks and more food, but it took so long to order and even longer to get our food. I am hesitant to return due to the very slow service, even though the food was good. We are loyal customers to TStreet Roadhouse. The wait staff and bartenders are all terrific. Don’t let the less than friendly hostess scare you off. 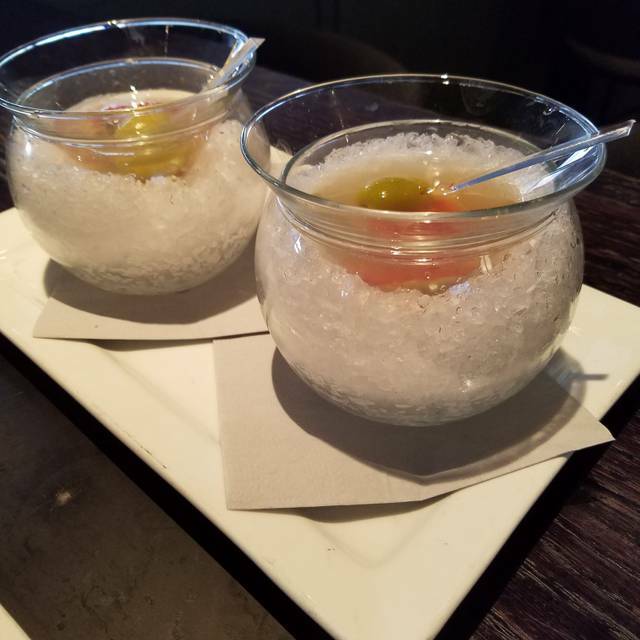 Their menu is unique, food is delicious, and cocktails are fantastic! Favorite date night place. Amazing atmosphere with good/hip music taste. Food is wonderful. My question is-why make a reservation if it is ignored? The food was outstanding and service was great. The hostess needs more experience in seating. Seriously!!! !